Hi I’m Molly, an A level history student on work experience with the New Forest National Park archaeology team and I have been involved in some amazing projects during my placement so far. 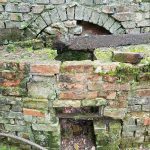 One of those is the listed Beaulieu brick kiln (List entry Number: 1094422) and its conservation is one of the projects in the £4.4million Our Past Our Future heritage lottery fund scheme. Interestingly, the New Forest was a major producer of hand-made clamp and kiln fired bricks and tiles which have left evidence of clay pits and working areas all across the New Forest landscape. A combination of map research, Lidar and traditional woodland survey is increasing our knowledge of the local brick industries. 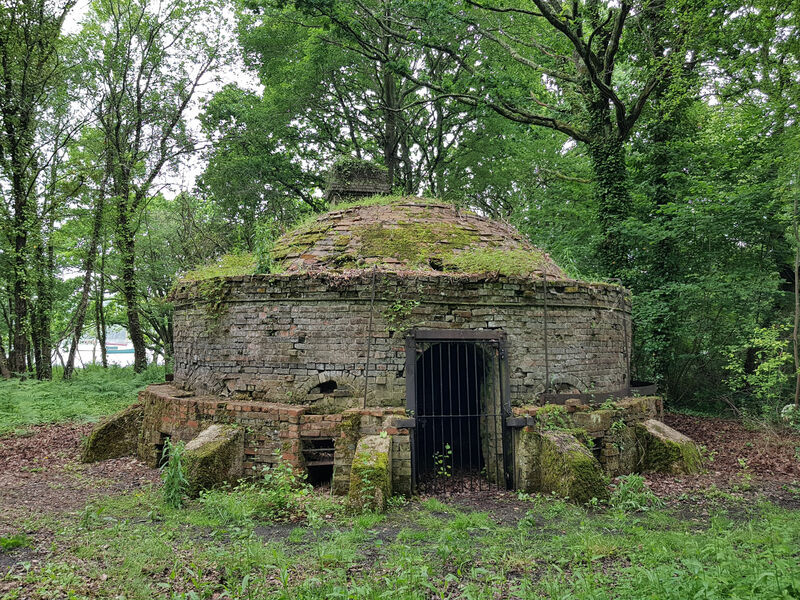 Many were fired using the gorse from the open forest which was a renewable fuel resource (this specific kiln was fired using coal). 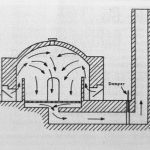 Before, brick manufacturing was slow and limited, yet with the advent of machine making at the end of the 18th century, great volumes began to be produced. 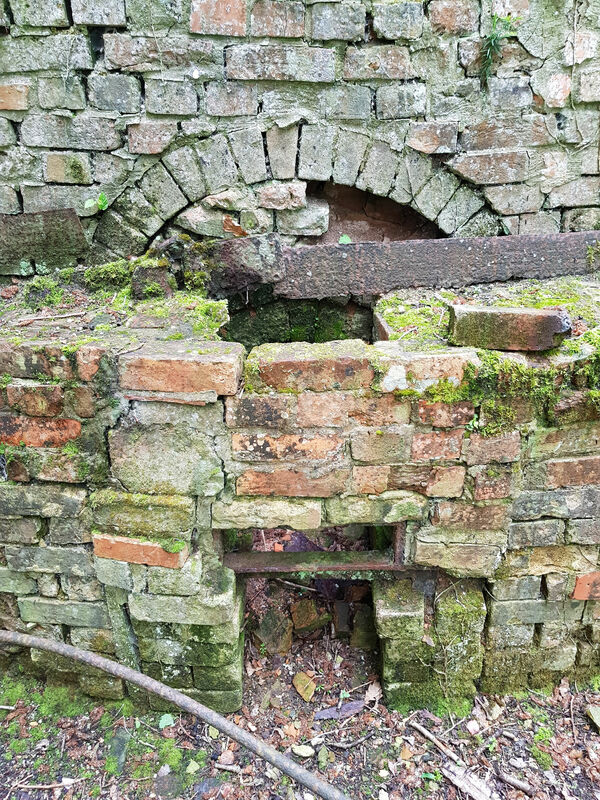 The brickworks at Baileys Hard opened in 1790 and ceased functioning in 1935 – It was most likely constructed in the late 19th or early 20th century and was said to hold a maximum of 40,000 bricks during firing. 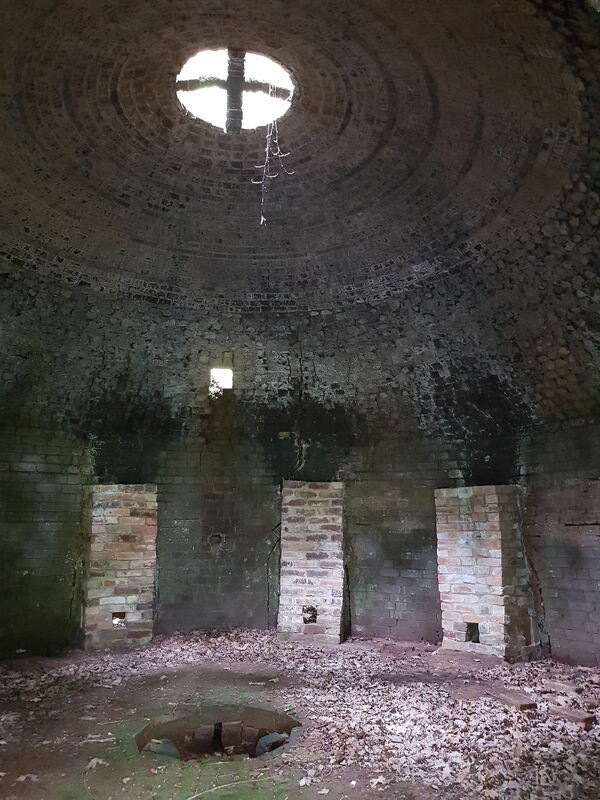 The brick kiln at Beaulieu is a downdraught kiln (straight-sided with a domed roof) meaning higher quality bricks were able to be created due to the fact that it was more effective and easier to control compared to the previous up-draught kilns. Fireboxes, as seen in the pictures, were located at the base of the walls and heat passed between these walls and screen walls which were built nearby. 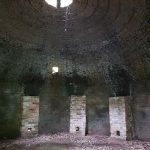 Once the heat had risen in the kiln, it was deflected down towards the honeycomb of raw bricks and out through holes in the floor which were connected to a flue. Bricks soon became fashionable and so the production increased rapidly in all walks of society. The location, next to the river on private land on the Beaulieu Estate, was chosen because of the availability of the clay to make the bricks. Also due to its location, boats were used to transport the bricks and with the expansion of the railway system in the late 1840s they could be transported to a much wider area including the urban areas of Bournemouth, Southampton and further afield to be used as decoration on traditional red brick buildings. You can also find them in other places like Exbury and Cadland to construct the buildings on the estate. There was more brick building carried out during the Victorian era than the sum of all remaining brick buildings constructed up to that time which I found really remarkable. The brick’s colour was influenced by the clays and other materials used, and by the temperature at which they were fired and so distinctive white bricks known as ‘Beaulieu buff’ bricks were produced. This is why villages look the way they do – I didn’t know this before. Along with this main product, the brickworks also produced specialist bricks such as coping bricks, squint bricks and mullion bricks, and a variety of tiles and pipes. 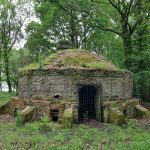 In fact, even the ice house also situated on Beaulieu Estate (which you can read about here: Beaulieu Ice House) is built from both red and also white (Beaulieu buff) bricks stamped ‘Beaulieu’. 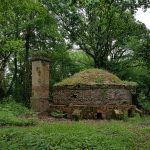 I think it is really important to help conserve our local heritage and Bailey’s Brick Kiln at Beaulieu had a structural survey undertaken during development to get an overview of construction and idea of repair requirements and costs. Survey and conservation work on kiln sites is part of the current ‘Rediscovering our Archaeological Heritage Project’, part of the HLF funded New Forest landscape Scheme. 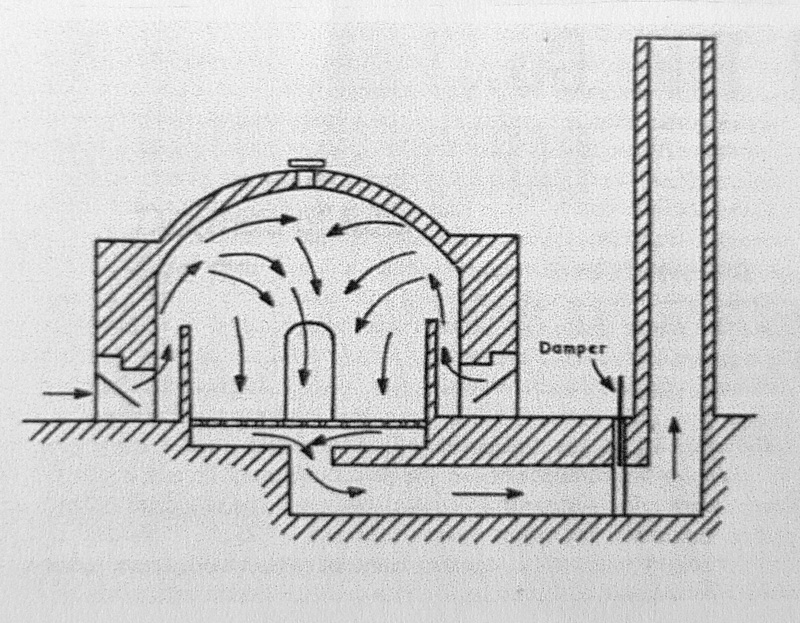 Furthermore, as seen in the pictures, attached round the dome kiln was an Iron belt used to brace the structure as the bricks would expand due to the extreme heat. It allowed me to really appreciate what the labourers went through to achieve the outcome and really picture what it was like back then. I went to inspect it when they were preparing to scan the structure both inside and out – this task was right up my street because I am fascinated by bringing history to life. The Beaulieu Kiln 3D laser scan animation created by Archaeovision generates a very detailed dataset to inform conservation work (CAD drawings can then be created and used with the engineering report as the basis for the Listed Building application by the Beaulieu Estate), provide an educational tool and act as a window into the past. 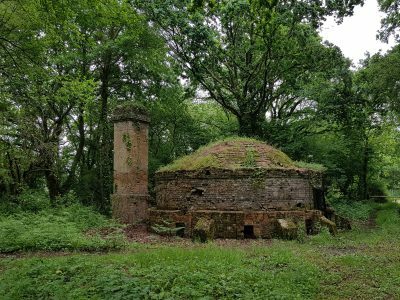 Laser scan animation of Bailey’s Brick Kiln, Beaulieu, New Forest from Archaeovision on Vimeo.